We don't get to Barwon Heads that often, but didn't remember seeing Annie's Provedore before, although apparently it has been open for 6 years. 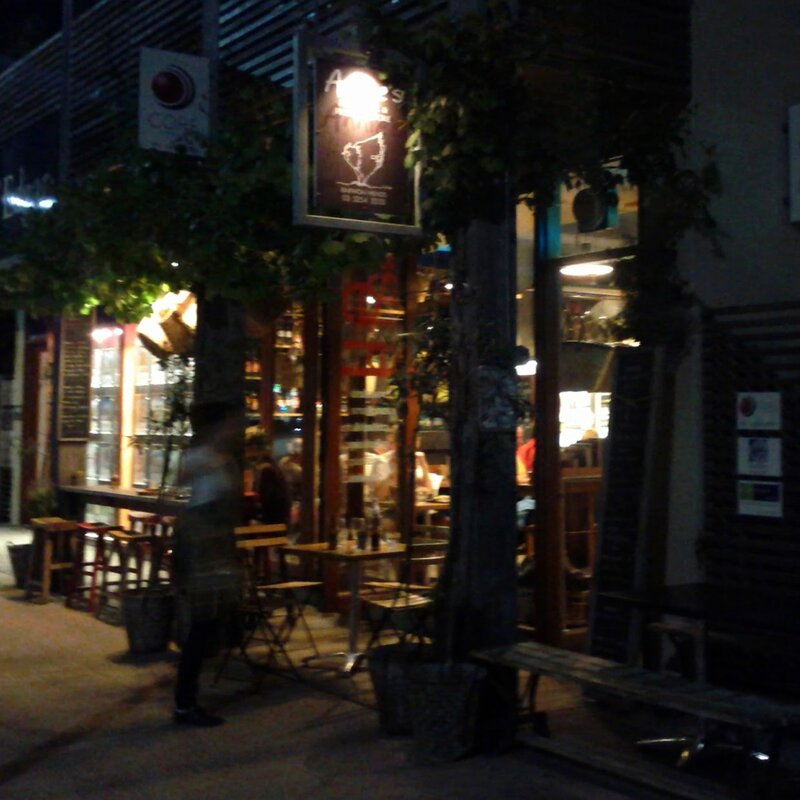 It now serves pizza's in the evening, which suited us when we were looking for a bite to eat on a Saturday evening. 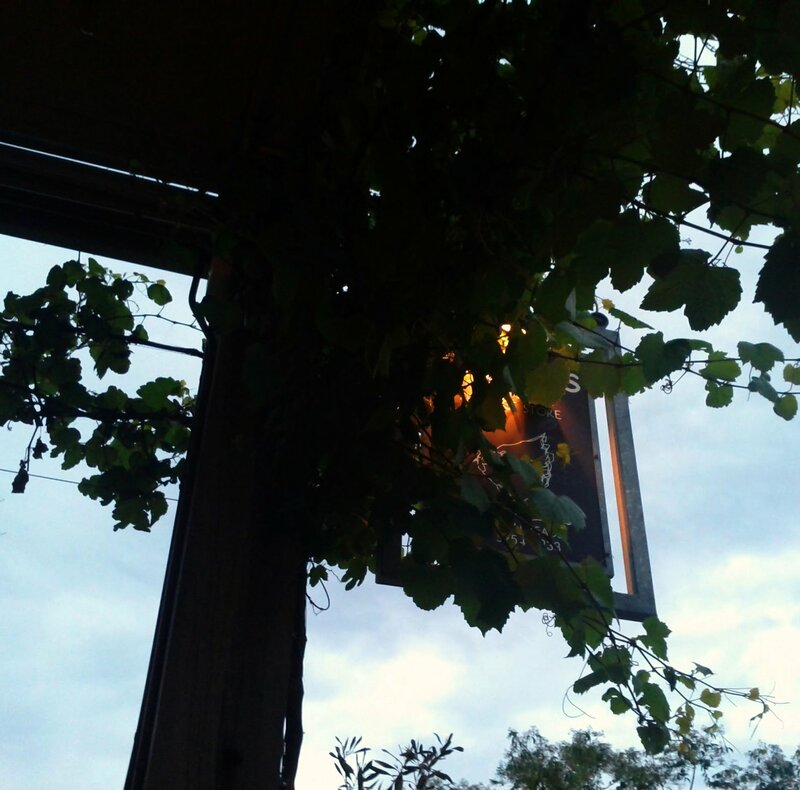 There were quite a few tables already occupied, but we got one outside under the vines and the sign. 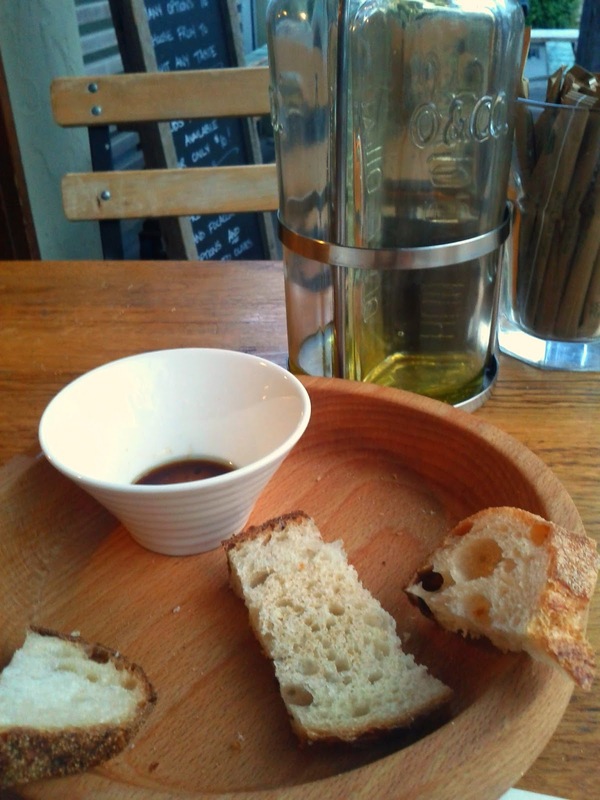 We were soon brought bread with great olive oil and thick sweet balsamic. The menu featured some traditional and some more adventurous combinations of toppings. 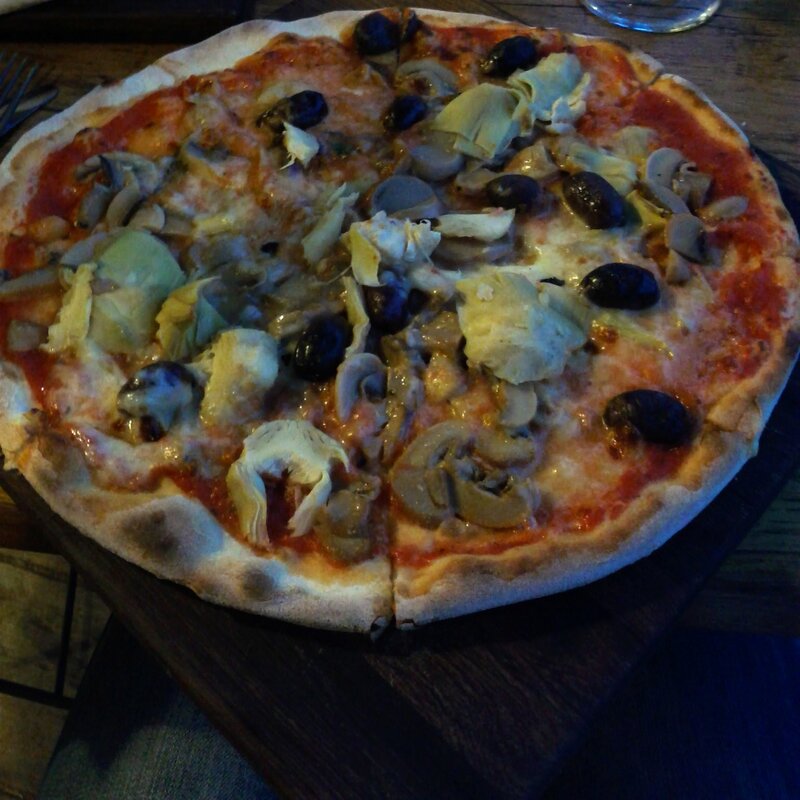 I ordered the Quattro Stagioni, whose fantastic, authentic thin base was loaded with tomato, mozzarella, artichokes, mushrooms and olives. 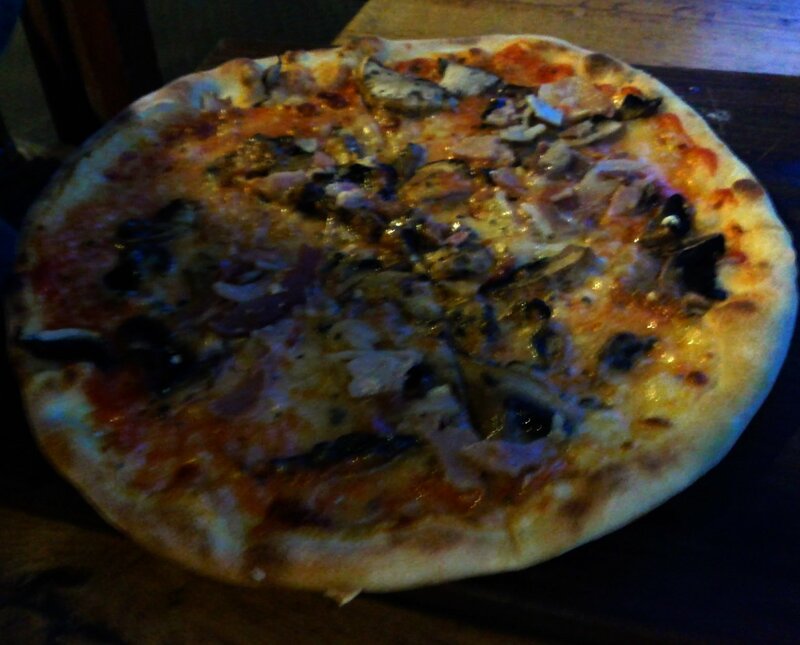 The only reservation I would have with the pizza was that the mushrooms didn't look fresh. The porcini pizza also bore tomato, mozzarella, bacon & parsley. There was a good range of local beers available to accompany the meal. The service was friendly, but it seemed to take a long while, maybe half an hour to be served after ordering, maybe we just overly hungry after a day outdoors! The bill was $68 including 4 drinks.